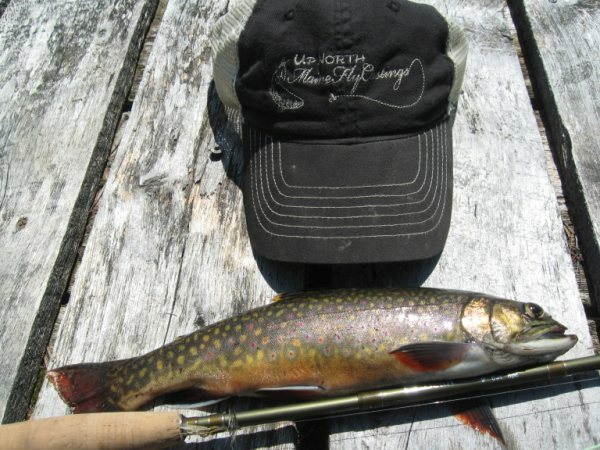 Up'North Maine Fly Castings | Hunting as an appetizer, Fly Fishing as the Main Course! Forest Fires in Quebec leave northern Maine/New Hampshire in a smoggy haze! More info tonight! – After five days of nothing but a good time, May Trip 2010 is officially in the books. The weather was perfect, the food was spectacular, and the company could not have been better. While the fishing was lackluster, the crew still managed to pull a fair amount of Trout from the warm waters of the Allagash before calling it quits. All in all is was everything a vacation should be, complete with homemade wine, home cooked meals over an open fire, and Old Town Canoes powered by 2-stroke Johnsons. Yes ladies and gentlemen, for five days at the end of May; Life was good. Now don’t be misled, life is by no means bad here in lovely Fort Kent, Maine. But to imply that it even compares to life on the Allagash Wilderness Waterway would be foolish, even when the fishing is unusually slow. For the next week or so, Up’North Maine Fly Castings will be May Trip 2010 central. Each day a different theme, including tons of pictures, videos, and the stories that accompany them. For the first installment I would like to introduce everyone to camp Chaos and the fellas that called it home for five long days. Team Chaos is an exclusive group of VIP fishing celebrities, comedians, and all around classy folks. For those who are lucky enough to get an invite, the memories are timeless, the laughs are endless, and a good time is guaranteed. This year the fellas chose to go with the always noticeable work shirts for our team colors. True northern Maine flair with a touch of awesome, those who saw them just couldn’t help but be jealous. 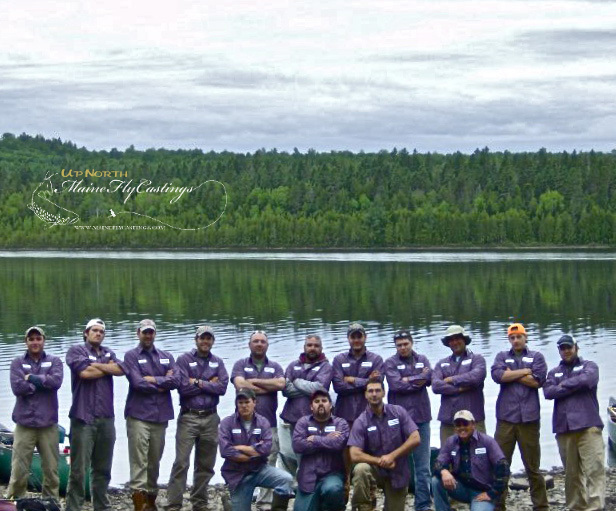 Seeing as how more than half of the crew makes a living in the northern Maine woods, no other attire even comes close to being more appropriate. Strapping and tarps provided shelter from a rain that never came, but served us well as a welcome shade from the early Summer sun. The shore was littered with enough canoes and motors to make any fisherman jealous, and the view lakeside rivaled any I had ever seen before. Long Lake is a place of stunning beauty, and it is a true shame that so many paddle right through it during their trip down the Allagash without giving it a second look. After five days I still have a difficult time wrapping my head around how special this tiny corner of the world really is. The sunrise is rivaled only by an equally breathtaking sunset, and the rolling mountains and hills stretch on for as far as the eye can see. Abundant wildlife, feisty brook trout, and endless scenery all play their role in making this trip special, but at the end of the day it’s the people you share the experience with that make May Trip worth while. If only I could work for five days and spend the rest of the year in such a heavenly place! 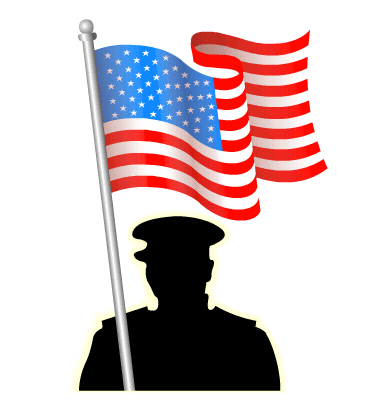 – Today is Memorial day, and I feel it is extremely important to take some time and thank those who have served, and those who are currently serving to protect the freedoms that we all enjoy. They come from every corner of our country, and Aroostook County has it’s fair share of war heroes, past and present. 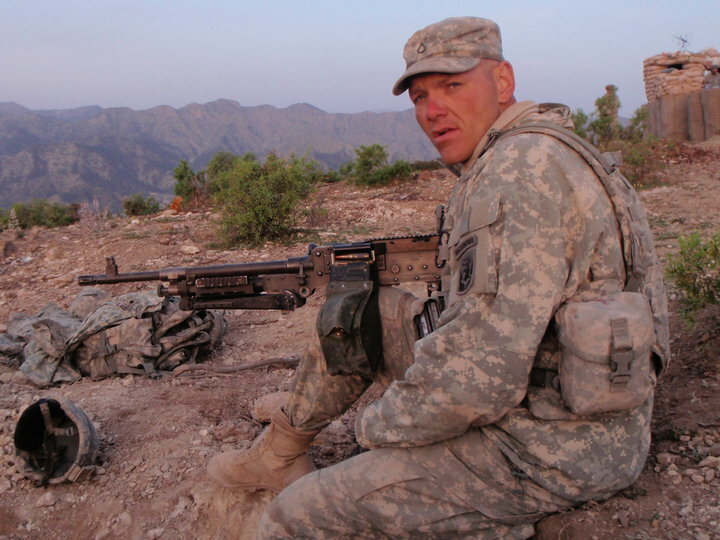 Brad Plourde is an active duty soldier currently serving in the mountains of Afghanistan. 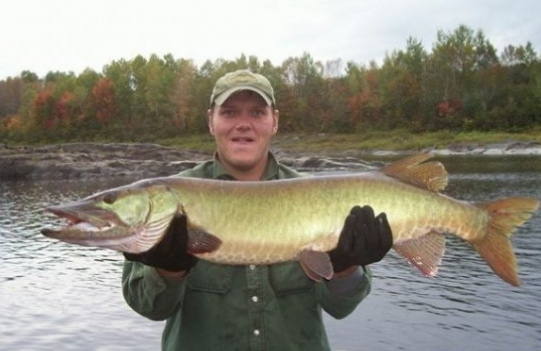 You might remember Brad from his many Muskie fishing pictures that have been featured on the site. 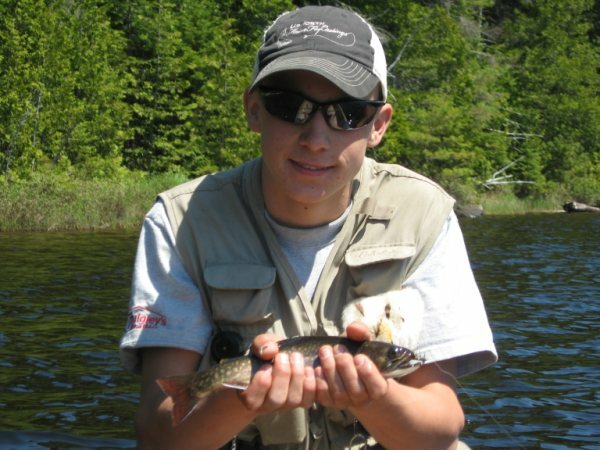 An avid outdoorsman and Master Maine Guide, Brad is the oldest of four brothers; all of whom are avid Muskie fisherman. On this Memorial day I and the rest of the Up’North crew would like to thank brother Brad, and all those who have put themselves in harms way so we can continue to cast a line without a care in the world. It takes a special kind of person to make such an honorable contribution, and we can all be proud that people like Brad call Fort Kent home. Your contributions will never be forgotten, and we all pray for your safe return. Up’North salutes the courage of our American Soldiers, and can’t wait to see Brad back on the water again! Stay safe, and keep fighting the good fight! Step back from a hectic, hellishly frantic life. Endless bills, responsibility, headaches, and expectations that can be impossible to meet. Step back from that to-do list that will never get done, that meeting that feels like it might never end, and that repetitive day job that leaves you begging for Friday and crying on Sunday. Step back from the daily grind. For just a few days step back from the normalcy and do something different. Fish a new pond, float a new river, cast from a new bridge…. My favorite fishing buddy, hot on my heals during a morning trout hunt. Because many of you are likely visiting MaineFlyCastings.com for the first time, I would like to extend my warmest welcome and humble appreciation to all for your interest and support. For over a year now I have taken great pride in straying off the beaten path and providing my readers with content they aren’t likely to find anywhere else. Original stories, fly tying tips, personal essays, product reviews, and photography born on countless river banks, back-country ponds, and remote lakes across the North Maine Woods and beyond. All born from one love. A love for fly fishing, and an appreciation for something much larger than myself. 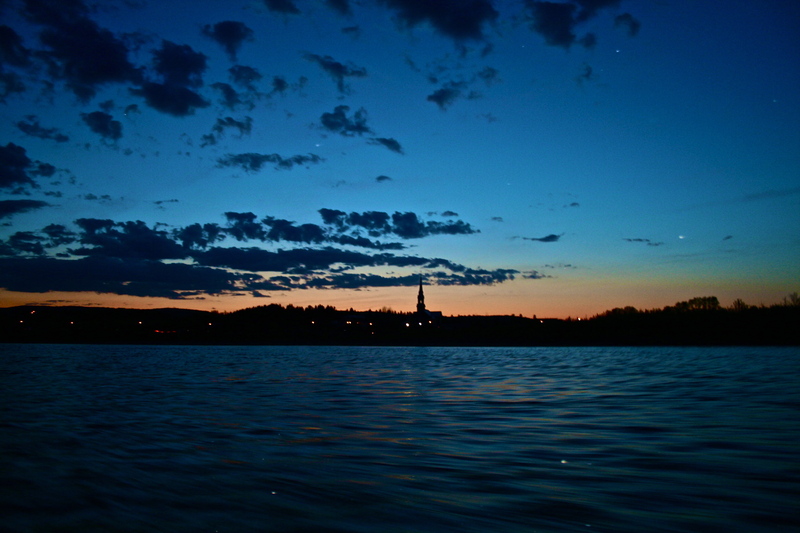 As I leave for a 5 day fishing trip into the very heart of the Allagash, I would like to wish you and yours a wonderful, endlessly exciting, truly blessed Memorial day weekend. Whether your casting a line or laying back and soaking up the sun, use this holiday weekend to give yourself a break from normal routines and the stresses of life that consume us all too often. I’ll be chasing down native brook trout, monster lake trout, and a more simple way of life for the next 5 days. I may not catch a ton of the first two, but you can bet I’ll immerse myself in the latter. 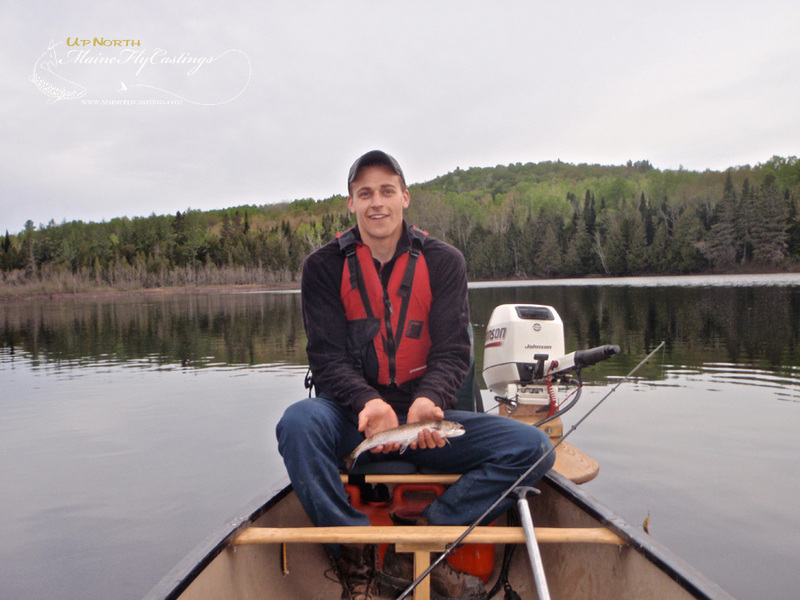 – Up’North young gun and contest winner Thomas Morin took a little fishing trip this weekend. His destination? Heaven. 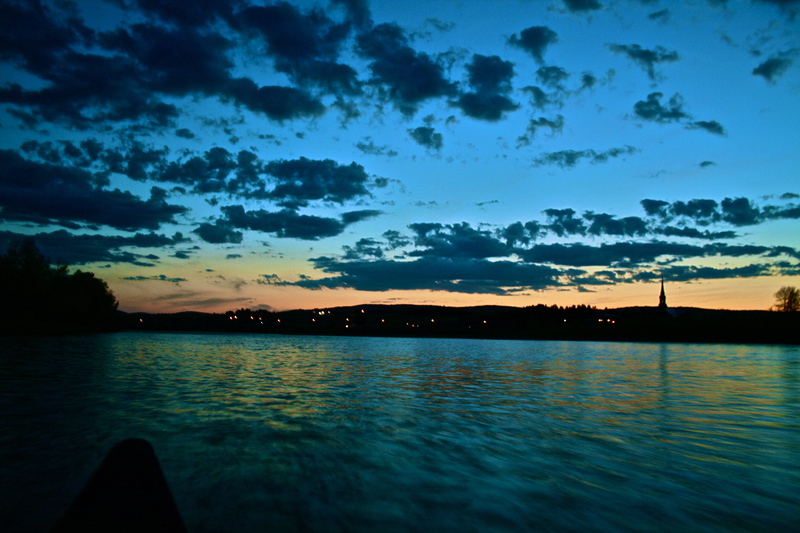 Those who are lucky enough to know where heaven is need not ask if the fishing is favorable. Thomas knows all too well. I think I need a trip to heaven. Some things just get better with time. Scotch, Cold Pizza, Classic Streamers, and Sleeping in the Dirt mag. Issue 3 is spec-frickin’-tacular. Click it! – Trolling Wednesday evening was not nearly as productive as I had hoped, but it certainly wasn’t a total loss. As the sun fell behind the hills and the last bit of light hung on for dear life, Mr. Morin managed to pull a pesky Brook Trout from the water before we called it a night. While another fish-less night certainly weighs heavy on my mind, the simple fact that no one seems to be catching much of anything these days definitely makes it more bearable. Like any fly fisherman, I’ve opted to blame this fish-less outing on my gear. I may be out of luck, but I’ll never be out of excuses. 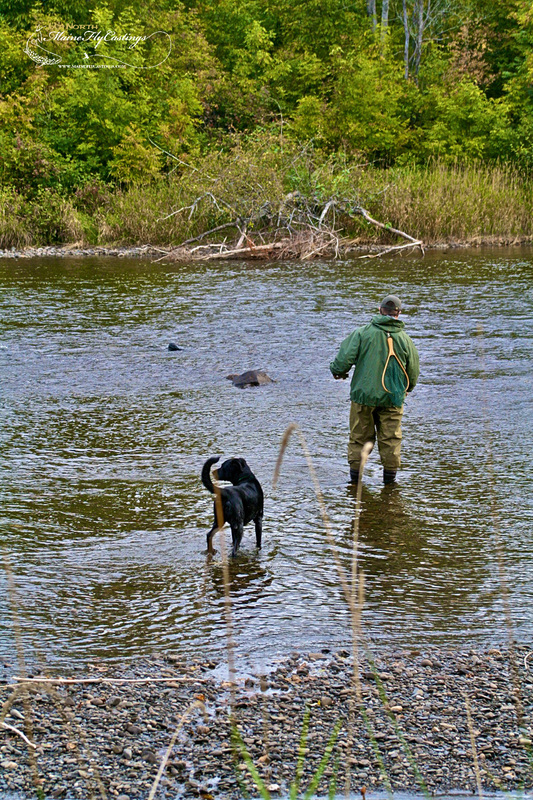 A weekend of fishing, and only 4 days until a big Allagash camping trip should produce some decent fish. If it doesn’t, I may need some serious bass therapy. 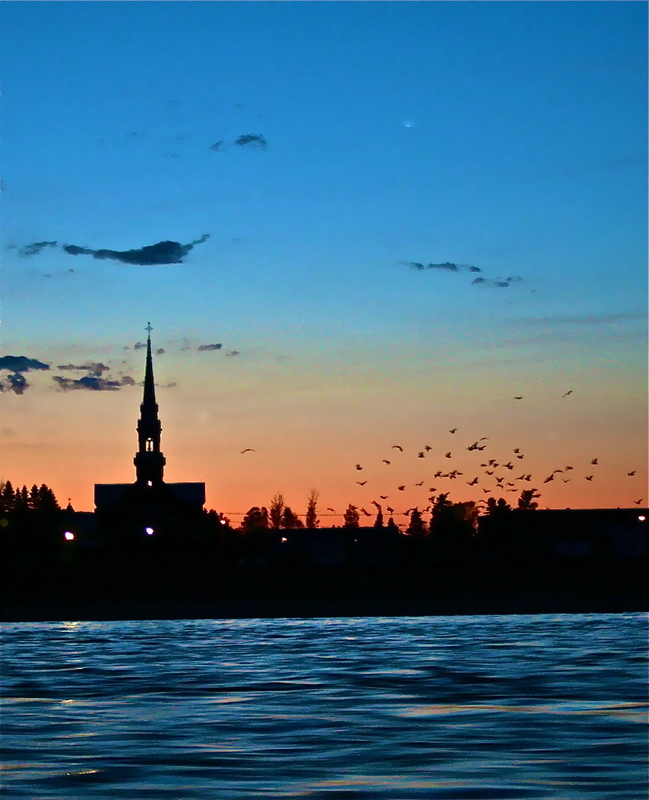 – Maybe if I post some pictures of a Church I’ll get some help from above and actually land some fish! Cross thy fingers!